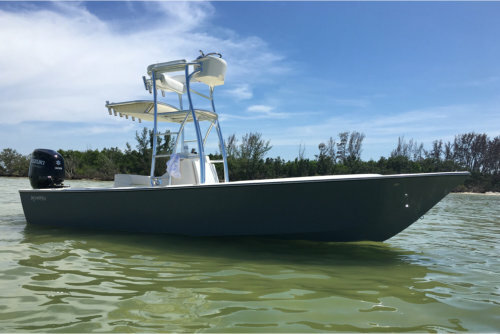 Marauder Marine Boat Works - Welcome to our Website! Pride of ownership is not achieved through compromise. 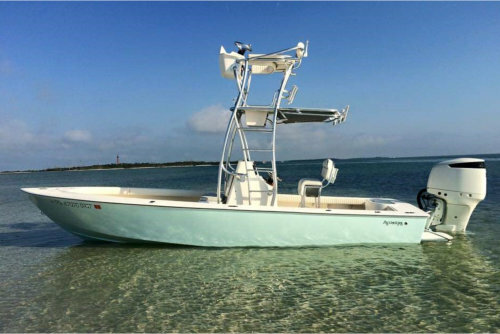 Regardless if you are fishing bonefish in the Keys, stalking tarpon in Tampa or seeking redfish in the waters off New Orleans, our boats deliver a fishing experience like none other. Whether it is the unique benefits of our legendary stepped-hull design or the unlimited amount of personalization available, it is clear that we offer a no compromise approach in crafting the best fishing platform the world can offer. Our cutting-edge ventilated transverse step delivers an amazingly stable and dry ride. Built with the finest materials and highest levels of workmanship your boat will be the greatest fishing boat you will ever own. Owners have said "it is like having three boats in one".